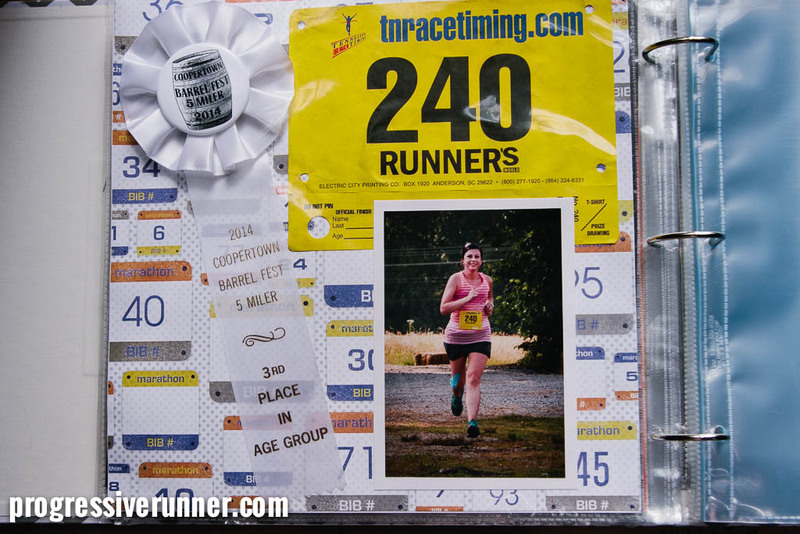 After I had been running for about a year, I had amassed a large collection of race bibs. 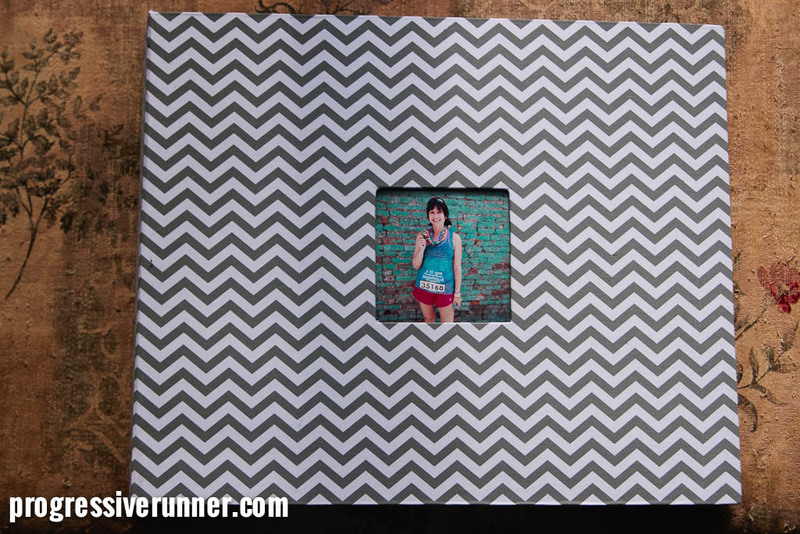 I was trying to figure out what to do with them, when it occurred to me that they are the perfect scrapbooking item! I don’t have a lot of scrapbooking experience (this is only my second attempt), but I’ve been pleased with what I’ve put together so far. I scoured the Internet and local craft stores for running-related papers and stickers; most of the stuff I bought was from scrapbook.com. While I try to order at least one professional photo after every race that offers it, I use the PostalPix app to order snapshots off my phone, and they do a decent job! 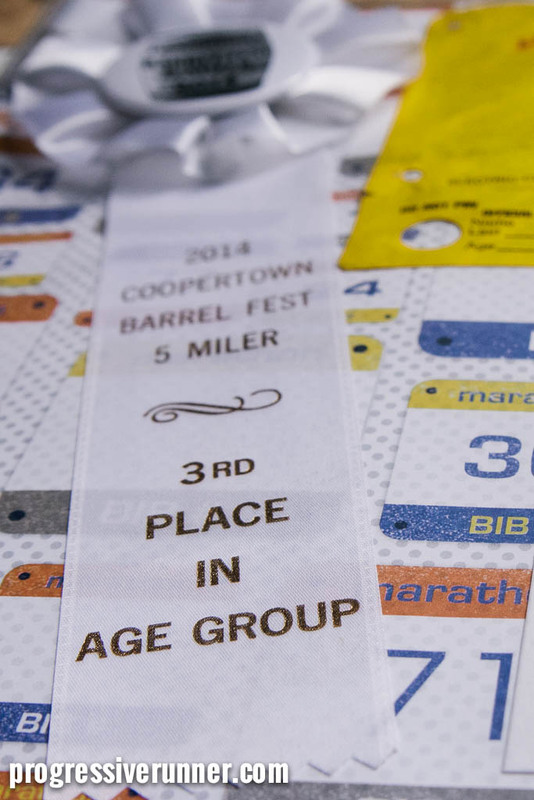 In addition to my race bibs, it also holds things like my age group ribbon I won in the Barrel Fest 5 Miler! 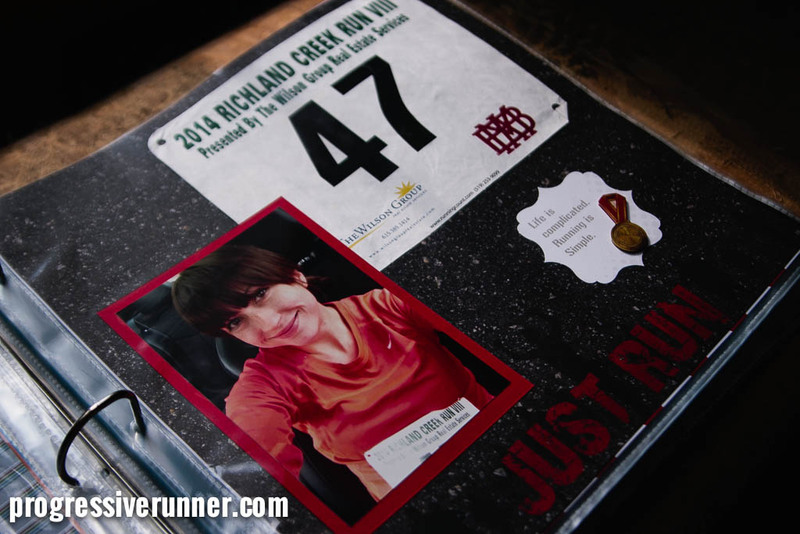 One thing I still need to do is print out some labels with the race dates and my times. I’m happy with how it is coming along so far! 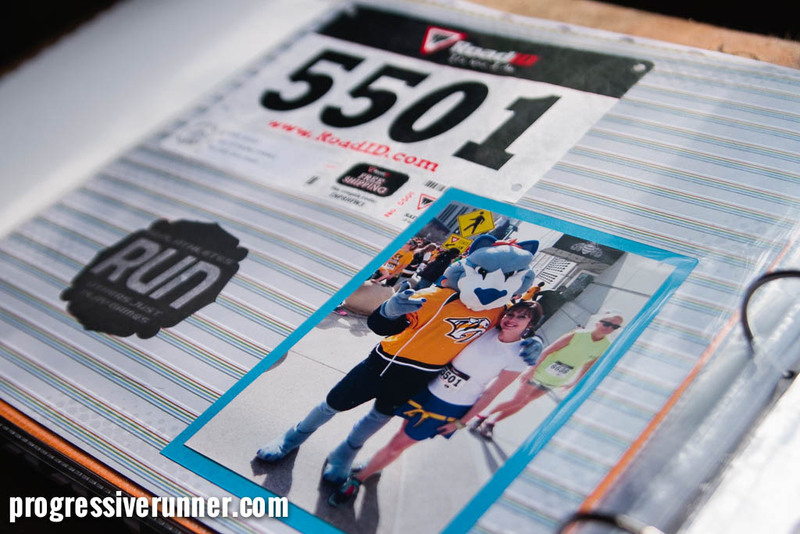 What do you do with your race paraphernalia? This entry was posted in Fun Stuff and tagged scrapbook. Bookmark the permalink. This is awesome! Right now my bibs are haphazardly hung up on cork board (that is falling down) in my office. 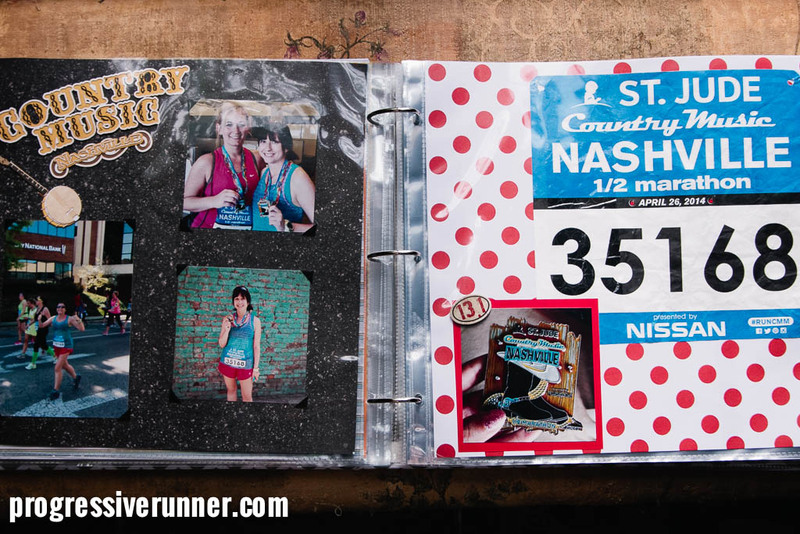 I started a scrapbook for the Tinkerbell Half Marathon but, shocking, almost a year later it has yet to be completed! Haha, I will probably get to that point with this one eventually, but luckily it is still fun to make the pages for now! I usually do about 2-3 races at a time, so it’s not too overwhelming but I also don’t feel like I’m working on it all the time.